This particle is from an oil sample collected from a 8400kVA transformer. This transformer was reportedly gas blanketed and sealed. The bright particle in the center of this image is silicon carbide. 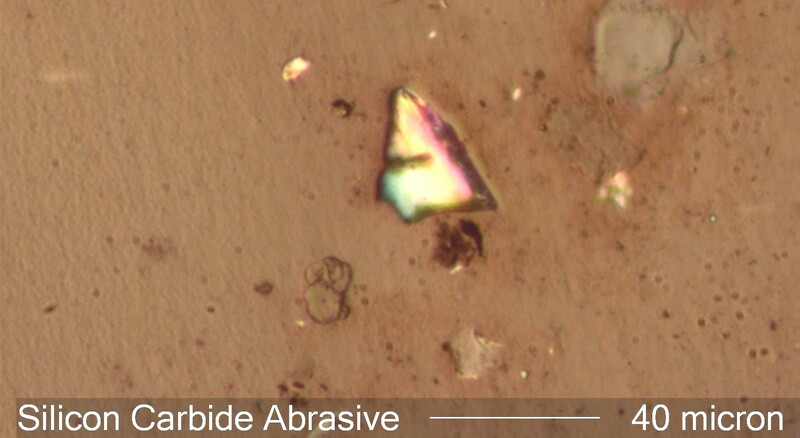 Silicon carbide is a man-made abrasive. Its presence in this oil sample indicates residual construction debris or debris from refurbishing surfaces in the transformer.